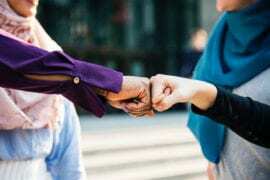 The Ideal Muslimah: The true Islamic personality of the Muslim woman as defined in the Qur’an and Sunnah. I’ve always found that buying presents for women is extremely easy, and now I have another suggestion to add to the list of recommended gifts – the book: ‘The Ideal Muslimah’. I discovered it lying on my shelf some months after my wedding and I must say that this is probably the best wedding present I’ve ever received. 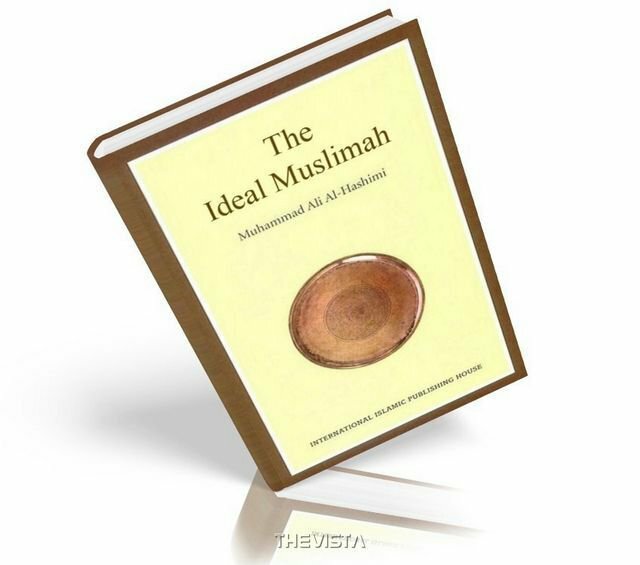 Written by Dr Muhammad Ali Al-Hashimi, The Ideal Muslimah also has a male counterpart – The Ideal Muslim which although I haven’t read, I would assume will make an equally beneficial read and an equally valuable gift! Dr Al-Hashimi’s advice to women is substantiated throughout the book with verses from the Qur’an and Hadith. He eloquently covers all aspects of a Muslim’s life, from her worship, to her body, her marital life, raising her children, her relationship with her parents, relatives and neighbours, her manners and her relationship with the larger society in general. • How a Muslim is encouraged to be proud, independent and patient: “Whoever refrains from asking from people, Allah will help him. Whoever tries to be independent, Allah will enrich him. Whoever tries to be patient, Allah will give him patience, and no-one is given a better or vaster gift than patience.” [Bukhari & Muslim]. • How a Muslimah should take care of her body i.e. by moderation in food and drink, exercising, taking care of her body and clothes, taking care of her appearance especially at home in front of her husband. Is it really balanced for a Muslim woman to make ‘herself look beautiful at women’s gatherings but neglect[s] her appearance in front of her husband’? • How important kindness is: “O ‘Aa’ishah, be kind, for if Allah wills some good to a household, He guides them to kindness.” [Ahmad] SubhanAllah. Isn’t this a superb way to bring goodness or khair into our lives? These are just a few examples from the vast sea of topics and advice imparted through this book. The style of writing is not condescending and really imparts genuine lessons, advice, and guidance. After her postgraduate degree in Management, Amina Qasim has worked for 3 years for an educational project to spread awareness about Muslim contributions towards science and technology. She is also a budding entrepreneur, dabbling occasionally in blogging and experimenting with new and nutritious recipes for her small family.